​​​​ SAN ANTONIO – The Keep Storage at Thousand Oaks is a 77,000-sf climate controlled Class A self-storage facility in northeast San Antonio. The facility is located just south of Thousand Oaks Dr. and Henderson Pass. 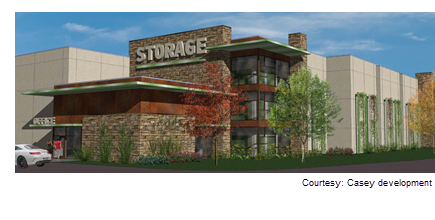 The property will consist of 511 units, all climate controlled, totaling over 58,000 sf of rentable storage space. The building will be three stories. Construction started in August 2017 and the facility is expected to open in the late spring/early summer of 2018. ​Check ou​​t more retail stories across Texas.